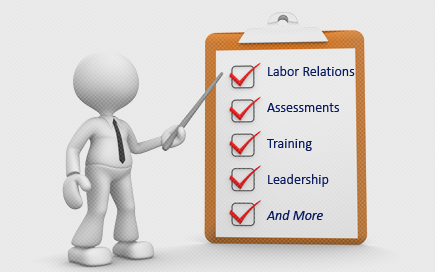 Summary of NLRB Decisions for Week of September 14 – 18, 2015 | Oliver Bell, Inc.
Law360, New York (September 24, 2015, 7:03 PM ET) — With the blockbuster Browning-Ferris joint employer decision less than a month old, the National Labor Relations Board is mulling a complementary case that lawyers say could rival Browning-Ferris’ importance and give unions a boost by removing a roadblock to organizing groups including both temporary and regular employees. The Aug. 27 Browning-Ferris decision relaxed the NLRB’s test for deeming “user” and “supplier” companies — in that particular case, Browning-Ferris Industries of California and a staffing firm that provided workers for a BFI recycling plant — to be joint employers, which are on the hook for potential unfair labor practice liability and bargaining obligations. In MIller & Anderson — where the deadline for filing amicus briefs passed on Sept. 18 — the board has a chance to jettison its 2004 Oakwood Care Center decision and do away with the requirement that employers must consent in order for unions to organize bargaining units that include workers solely employed by the user company and jointly employed employees, like workers supplied by a staffing firm. While Miller & Anderson doesn’t seem to have generated as much buzz as Browning-Ferris did, many lawyers see the Aug. 27 Browning-Ferris decision and the expected ruling in the Miller & Anderson case as a one-two punch from the NLRB, and some say Miller & Anderson might actually end up being more important. “I think this case could be more significant due to the fact the board may create single bargaining units consisting of persons employed solely by separate firms and employed jointly by those firms,” George Washington University Law School Professor Charles Craver said of Miller & Anderson. Labor unions and business groups butted heads last week over whether the board should stick with the Bush-era Oakwood standard or go back to the labor board’s 2000 M.B. Sturgis decision, which said such units made up of solely and jointly employed workers didn’t require employers’ approval. The U.S. Chamber of Commerce and the American Staffing Association were among those urging the labor board to adhere to its Oakwood decision and leave the employer consent requirement in place. Since the looser joint employer standard articulated in the Browning-Ferris ruling wasn’t on the books when Sturgis was decided, the “complexities of multi-employer bargaining” have yet to be tested under the new framework, the ASA’s amicus brief said. “The new BFI standard complicates an already complicated relationship. Were the board to revert to the overruled Sturgis bargaining unit standard and apply it in tandem with the new BFI joint employer standard, the NLRB would … sow uncertainty and conflict,” which is at odds with the goals of federal labor law, the ASA asserted. But the AFL-CIO, the SEIU and the NLRB General Counsel pushed for a return to Sturgis. Like the previous joint employer test, Oakwood tacks on extra requirements that aren’t compelled by the NLRA and are out of step with today’s workforce reality, the SEIU argued. “For employees’ rights to not be abridged by an employer’s decision to outsource work, and to fully exercise their rights, the Board must continue to interpret the Act in light of these realities and return to the standard articulated in M.B. Sturgis,” said the SEIU. The labor board put out a call for briefs in the Miller & Anderson case in July, and did the same thing in Browning-Ferris back in May 2014. Many observers think it’s likely that the board, which changed the legal landscape in Browning-Ferris, will use Miller & Anderson to overrule Oakwood. “This board has not been particularly kind to prior board precedent,” said BakerHostetler partner Dennis Duffy. The NLRB’s call for amcius briefs in the Miller & Anderson case came about a month and a half after it decided to review a regional director’s three-year-old decision to dismiss a sheet metal workers union’s bid to represent a unit of workers employed by electrical and mechanical contractor Miller & Anderson and Tradesmen International LLC. If the NLRB nixes Oakwood and eliminates the employer consent requirement, that will clear the way for unions to organize and bargain on behalf of both jointly employed workers and regular, solely employed workers. The Browning-Ferris ruling made it easier to bring both “user” companies like BFI and “supplier” firms like staffing agencies to the bargaining table by loosening the standard for determining joint employer status. The anticipated decision in Miller & Anderson would also translate to more parties at the bargaining table, just on the other side. So called “user” companies could find themselves compelled to negotiate with a unit made up of not only their solely employed workers, but also those they’ve been deemed to jointly employ under the broader Browning-Ferris test. Currently, that bargaining unit couldn’t exist if the user company — or its supplier partner — simply withheld consent. Temporary workers can band together on their own, but a user company may then cut off business with the staffing company, according to a Sept. 18 amicus brief from a Laborer’s International Union of North America local. That problem’s particularly acute in the construction sector, LIUNA Local 11 said, adding that in virtually every case where it filed a petition under the Oakwood framework, a construction contractor cut ties with the staffing company. “In all, Oakwood gives user companies an effective veto over the ability of employees of a staffing company to organize,” Local 11 said. However, Hunton & Williams LLP’s Ronald Meisburg, a former NLRB member and general counsel, said that if there is such a problem, it is addressed by Browning-Ferris. If a user company is deemed a joint employer, then getting rid of temp workers who were seeking to unionize would leave that employer vulnerable to an unfair labor practice charge, he said. “If you’ve got joint employer status, there’s no additional protection from adding into the bargaining unit solely employed employees,” said Meisburg, echoing an argument from the Council On Labor Law Equality’s brief. In addition to claiming that Sturgis was in conflict with the text of the NLRA, COLLE said doing away with Oakwood to help staffing agency workers organize was unnecessary, particularly in light of Browning-Ferris. But a decision nixing Oakwood would likely lead to ramped up efforts to organize temporary workers and give unions the ability to credibly promise jointly employed workers improvements in areas like benefits and wages that mirror what regular, solely employed workers enjoy, lawyers said. And regardless of whether a union sees representing a particular group of jointly and solely employed workers as an attractive option, a decision doing away with the employer consent requirement would give unions one more tool they don’t currently have. An NLRB ruling abandoning Oakwood would more accurately reflect modern workplace realities, which was the point of the labor board in the Sturgis decision, said union-side lawyer and Weinberg Roger & Rosenfeld PC shareholder David Rosenfeld. It would also mark one more in a series of developments — including the adoption of the NLRB’s new union election rule and its 2011 Specialty Healthcare decision — that have given unions more options and greater leverage when it comes to organizing workers, he said. “I’m kind of excited about all this,” Rosenfeld said. The case is Miller & Anderson Inc., case number 05-RC-079249, at the National Labor Relations Board. –Editing by John Quinn and Philip Shea. Remington Lodging & Hospitality, LLC d/b/a The Sheraton Anchorage (19-CA-032599, et al. ; 363 NLRB No. 6) Anchorage, AK, September 15, 2015. The Board affirmed the Administrative Law Judge’s findings that the Respondent violated Sections 8(a)(1), (3), (4), and (5) as alleged in the complaint, including by disciplining and discharging an employee and by reducing the number of hours worked by another employee and subsequently discharging that employee. Administrative Law Judge John J. McCarrick issued his decision on June 6, 2013. Charges filed by Unite Here! Local 878. Chairman Pearce and Members Miscimarra and McFerran participated. Pulau Corporation (31-RC-153856; 363 NLRB No. 8) Fort Irwin, CA, September 16, 2015. Order denying review of the Employer’s Requests for Review of the Regional Director’s Decision and Direction of Election and Decision and Certification of Representative. In denying both requests for review, the Board relied on the rationale set forth in the Regional Director’s Decision and Certification of Representative, including her statement that the Board has already considered and rejected the Employer’s arguments concerning the facial validity of the amendments to the Board’s representation case procedures in the final rule. See 79 Fed. Reg. 74308-74430 (Dec. 15, 2014). The Board also found that the Employer’s challenge to the Regional Director’s designation of the election date was not properly before it, as the Employer did not present this argument (or the facts on which it was based) to the Regional Director. Dissenting, Member Miscimarra stated that he disagreed with the Board’s Final Rule on representation case procedures. 79 Fed. Reg. 74308, at 74430-74460 (dissenting views of Members Miscimarra and Johnson). For similar reasons, Member Miscimarra would have granted the Employer’s Requests for Review on the basis that they raise substantial questions regarding the effect and application of the Final Rule. Petitioner—Teamsters, Chauffers, Warehousemen, Industrial & Allied Workers of America, Local 166, International Brotherhood of Teamsters. Chairman Pearce and Members Hirozawa and Miscimarra participated. Southcoast Hospitals Group, Inc. (01-CA-067303; 363 NLRB No. 9) Wareham, MA, September 16, 2015. A Board panel majority consisting of Chairman Pearce and Member Hirozawa affirmed the Administrative Law Judge’s finding that the Respondent violated Section 8(a)(3) and (1) by maintaining and enforcing HR 4.06, a discriminatory hiring/transfer policy that the majority found deprives represented employees of job opportunities on the basis of their representational status and their having obtained a contractual benefit through collective bargaining. The same majority found that the Respondent also violated Section 8(a)(3) and (1) by refusing, based on HR 4.06, to consider certain employee-applicants; by delaying its hiring of an employee-applicant, also based on HR 4.06; and by refusing, on the same basis, to consider and/or hire other similarly situated employee-applicants. Member Miscimarra, dissenting, found that HR 4.06 did not violate the Act because, in his view, the Respondent established a legitimate and substantial business justification for the policy. Accordingly, he also found that the Respondent lawfully relied on HR 4.06 in refusing to hire and/or consider employee-applicants. A different panel majority consisting of Chairman Pearce and Member Miscimarra reversed the judge and found that the Respondent did not violate the Act by refusing to hire an employee-applicant. They found that the Respondent met its burden to show that it would not have selected the employee-applicant for the position, even in the absence of HR 4.06, because she lacked certain required skills. Member Hirozawa, dissenting, found that the Respondent failed to prove that it would not have hired the employee-applicant even in the absence of HR 4.06. Charge filed by 1199 SEIU, United Healthcare Workers East. Administrative Law Judge Kenneth W. Chu issued his decision on June 12, 2013. Chairman Pearce and Members Miscimarra and Hirozawa participated. USC Verdugo Hills Hospital (31-RC-140136) Glendale, CA, September 14, 2015. No exceptions having been filed to the hearing officer’s overruling of the Employer’s objections to an election, the Board adopted the hearing officer’s findings and recommendations, and certified the Petitioner, Service Employees International Union, United Healthcare Workers-West, as the exclusive collective-bargaining representative of the employees in the appropriate unit. Fulton Boiler Works, Inc. (03-RD-145278) September 14, 2015. No exceptions having been filed to the Regional Director’s overruling of the incumbent Union’s objections to a decertification election, the Board adopted the Regional Director’s findings and recommendations, and certified that a majority of the valid ballots had not been cast for International Brotherhood of Boilermakers, Iron Ship Builders, Blacksmiths, Forgers and Helpers, Local Lodge No. 5, and therefore it is not the exclusive collective-bargaining representative of the employees in the bargaining unit. Petitioner—an individual. CVS Albany, LLC d/b/a CVS (29-RC-155927) Brooklyn, NY, September 14, 2015. No exceptions having been filed to the Regional Director’s Report recommending that the Petitioner’s objections to an election be overruled, and directing that a hearing be held on the three determinative challenged ballots, the Board adopted the Regional Director’s findings and recommendations, and remanded the case to the Regional Director for further appropriate action consistent with his Report. Petitioner—Local 338 Retail, Wholesale and Department Store Union (RWDSU), United Food and Commercial Workers International Union (UFCW). CC-1 Limited Partnership d/b/a Coca-Cola Puerto Rico Bottlers (12-RC-153829) Cayey, PR, September 16, 2015. The Board denied the Employer’s Request for Review of the Regional Director’s Decision and Direction of Election on the ground that it raised no substantial issues warranting review. Petitioner – Movimiento Solidario Sindical. Chairman Pearce and Members Miscimarra and McFerran participated. T-Mobile USA, Inc. (01-CA-142030 and 10-CA-133833) Augusta, ME, September 14, 2015. No exceptions having been filed to Administrative Law Judge Joel P. Biblowitz’s August 3, 2015 decision finding that the Respondent has engaged in certain unfair labor practices, the Board adopted the judge’s findings and conclusions, and ordered the Respondent to take the action set forth in the judge’s recommended Order. Charges filed by Communications Workers of America, AFL-CIO. United States Postal Service (28-CA-128635) Tucson, AZ, September 14, 2015. No exceptions having been filed to Administrative Law Judge John J. McCarrick’s July 30, 2015 decision finding that the Respondent has engaged in certain unfair labor practices, the Board adopted the judge’s findings and conclusions, and ordered the Respondent to take the action set forth in the judge’s recommended Order. Charge filed by National Association of Letter Carriers, Carl J. Kennedy Branch 704, affiliated with National Association of Letter Carriers, AFL-CIO. Custom Food Products, LLC, a Wholly Owned Subsidiary of CTI Foods, LLC (09-CA-144165) Owingsville, KY, September 16, 2015. No exceptions having been filed to the August 4, 2015 decision of Administrative Law Judge Keltner W. Locke finding that the Respondent had not engaged in certain unfair labor practices, the Board adopted the judge’s findings and conclusions and dismissed the complaint. American Classic Construction, Inc. (07-CA-143306) Bailey, MI, September 16, 2015. No exceptions having been filed to the August 4, 2015 decision of Administrative Law Judge Melissa M. Olivero finding that the Respondent had not engaged in certain unfair labor practices, the Board adopted the judge’s findings and conclusions and dismissed the complaint. In a published opinion, the court enforced the Board’s order against this operator of a lumber supply yard in North Highlands, California, for withdrawing recognition from Chauffeurs, Teamsters, and Helpers Local 150, International Brotherhood of Teamsters. The employer based its withdrawal on statements written by 8 of the 15 material handlers and drivers in the represented unit. The employer and union had a bargaining relationship for over 50 years. In 2012, during negotiations for a successor agreement, the employer declared that it had objective evidence of a lack of majority support based on the 8 statements and withdrew recognition. The administrative law judge found 4 of the 8 statements did not show lack of union support because they indicated a rejection of union membership, but not a rejection of union representation. The judge also rejected the employer’s attempt to rely on after-acquired evidence—employee testimony on the intent of their statements—because the employer did not rely on it at the time of withdrawal. The Board agreed. On review, the court disagreed with the employer’s argument that “the better interpretation” of the 4 statements, which it claimed were inherently ambiguous, was that they stated a lack of union support. The court explained that the employer’s argument misunderstood the court’s standard of review, and held that “it was not unreasonable for the Board to read them that other way.” Further, the court noted that if “the most that can be said about a statement” is that it “may give rise to doubt,” then the employer has not carried its burden of proof under Levitz Furniture Co., 333 NLRB 717 (2001). Regarding the claim that employee testimony of intent should have been considered, the court held that such after-acquired evidence was irrelevant because it was not known to the employer at the time of withdrawal. Finally, the court was not persuaded by the employer’s contention that the Board placed it in a “no-win situation” by requiring it to choose either to withdraw recognition or face a charge for bargaining with a minority union. The court acknowledged that the Board in Levitz provided employers the “safe harbor” of filing a petition for an RM election to resolve a question of majority support, and the employer here did not avail itself of the opportunity. Ready Mix USA, LLC (10-CA-140059, et al. ; JD-52-15) Huntsville, AL. Administrative Law Judge David I. Goldman issued his decision on September 15, 2015. Charges filed by International Brotherhood of Teamsters, Local 402. Triple-S Salud, Inc. (12-CA-143450; JD(ATL)-17-15) San Juan, PR. Administrative Law Judge William Nelson Cates issued his decision on September 17, 2015. Charge filed by Union General de Trabajadores, Local 1199, Service Employees International Union. Shambaugh and Son, L.P. (25-CA-141001 and 25-CA-145447; JD-54-15) Fort Wayne, IN. Administrative Law Judge Charges J. Muhl issued his decision on September 17, 2015. Charges filed by International Association of Heat and Frost Insulators and Allied Workers, Local 41. Tradesource, Inc. (04-CA-134287 and 04-CA-149042; JD-46-15) Plymouth Meeting, PA. Administrative Law Judge Robert A. Giannasi issued his decision on September 18, 2015. Charges filed by International Brotherhood of Electrical Workers, Local 98. Unite Here! Local 5 (Hyatt Corporation d/b/ Hyatt Regency Waikiki) (20-CB-127565 and 20-CB-127695; JD(SF)-39-15) Honolulu, HI. Administrative Law Judge John J. McCarrick issued his decision on September 18, 2015. Charges filed by individuals. Advoserv of New Jersey, Inc. (22-CA-131230; JD(NY)-41-15) Hewitt, NJ. Administrative Law Judge Steven Fish issued his decision on September 18, 2015. Charge filed by 1199 SEIU, United Healthcare Workers East, New Jersey Region. Cellco Partnership d/b/a Verizon Wireless (28-CA-145221; JD(SF)-38-15) Nationwide. Administrative Law Judge Mary Miller Cracraft issued her decision on September 18, 2015. Charge filed by an individual.